MainAll NewsInside IsraelHow many hours does Netanyahu sleep a night? 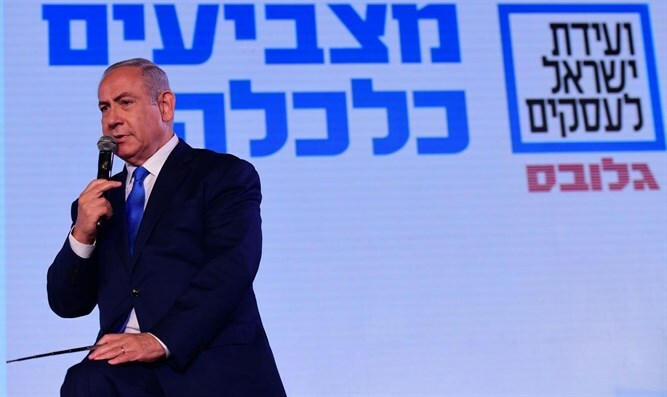 Prime Minister Binyamin Netanyahu took part today in the Globes Israel Business Conference and was asked how many hours sleeps at night. "Between 7 and 8 and if I could - 9," Netanyahu said, "I have to fly the plane at all times. Unless the military secretary makes me wake up. "Sometimes I say to him, 'Wake me up,' and then at two-thirty in the morning I call him and ask him,`Well, is it over?' He asks me,'Why aren't you sleeping?' So I say to him, 'So you don't wake me up'," said the Prime Minister.